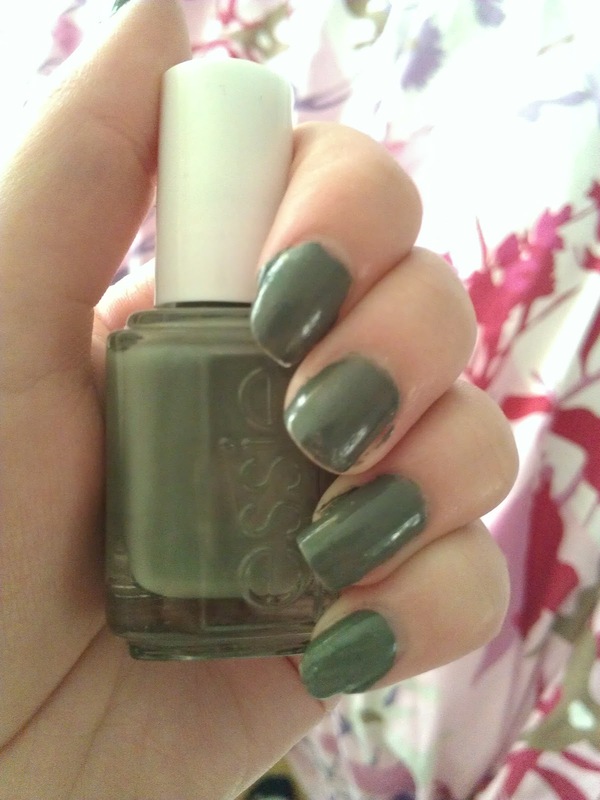 I bought this nail polish from Essie a week or two ago. 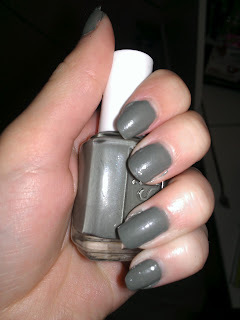 I didn't know what to expect, the reason I bought it was that someone had this in her 10 top favorite Essie nail polish. And beautybay.com had this free deliver world wide and since the nail polish was like €9,something I was like 'I'm going to ordered more than only a mint green nail polish. Let's go insane and buy something random. ' And so I did. I still don't know if I like it, it's not colorfull and it's green. In the bottle it looked olive green and I did liked that but on your nails it's everything expect olive green. I would deff wear this to a funeral and maybe I would also wear this on a very sunny day when I'm in a very good mood. Because when I'm down or something I like colors and sparkles and everything that cheers me up. But when I'm extremly happy I like darker colors. what you think about this colour !